Photocopy of the last achieved certificate. Medical checkup and placement test must be passed with fees (20$ or 11 L.E). 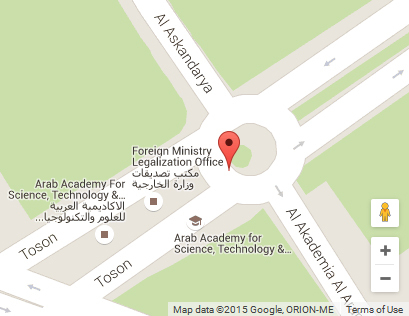 The papers are available at Abu Kir Campus - Arab Academy for Science, Technology & Maritime Transport.